Fantastic article in the @telegraph Today. 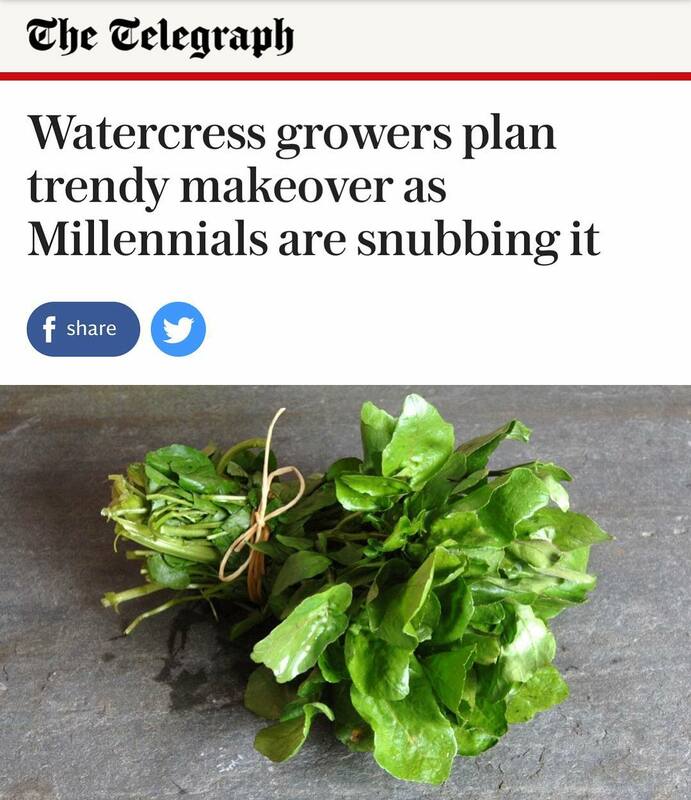 Be part of the #WatercressChallenge revolution and join myself, some amazing produce and 6 fantastic chefs 25/3 in London for an 8-course dining menu with every single course utilising watercress, even the welcome cocktail! 6 awesome chefs creating an 8 course menu and plating live in front of the dining audience to promote the wonders of watercress. The line-up includes @kiltye26 @robbie_lorraine @chefchriswheeler @harighotra @danielpbritten & @louisaellis1995 and will also feature Qsm Quality Standard Mark Beef & Lamb. We’ve already sold half the tickets so make sure you don’t miss out. Five Useful and Successful Vegetarian Superfoods for diet!